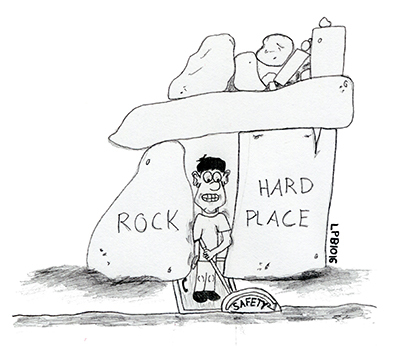 Municipal Pension Liabilities: Between a Rock and a Hard Place? Municipalities have done an excellent job since the financial crisis in stabilizing their finances and have pulled a number of levers to reduce fixed costs. Today’s low growth environment calls for prudent management and the average municipality has taken a conservative approach, especially relative to corporations. That being said, this low growth world has exacerbated a larger – though longer term – issue in unfunded pension liabilities. Investment returns have underperformed actuarial assumptions for years and prospective returns look even dimmer. This is an issue cities and states must face, but we think a universal armageddon scenario often highlighted in the press is overplayed. In fact, in many places there is much more flexibility for adjusting and adapting to these liabilities than most investors think. Many municipalities have begun the process of reducing these obligations. The total dollar value of the municipal market has barely grown since the 2008-2009 crisis. Outstanding debt totaled $3.77 trillion at the end of 2015, up from $3.54 trillion in 2006 (1). 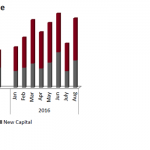 Corporate issuers have much more aggressively taken advantage of low rates. In fact, they have added an amount of debt almost equal to the size of the municipal market. Outstanding corporate debt has grown from $4.84 trillion in 2006 to $8.1 trillion at the end of 2015. It remains to be seen if this increased corporate leverage will lead to investment and future growth. Many point out the financing is primarily being redirected to buyback or even dividend payments. 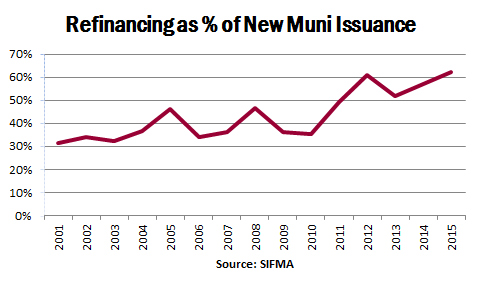 Over time the municipal market has experienced a high level of refunding issues as a percentage of the overall issuance. This reduces the cost of debt for issuers and enhances cash flows. Limiting employment growth is another lever local municipalities have pulled to reduce costs. 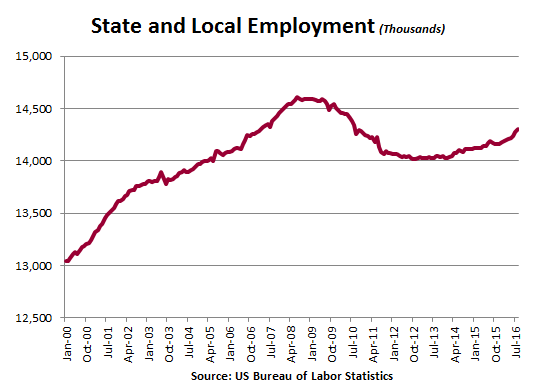 Total local government employment is 14.3 million today versus 14.5 million at the start of 2008 (2). These dynamics are undeniably good news for the underlying credit health of municipal issuers. They are a prudent reaction in a paltry growth environment. Long term, however, municipalities face mounting pressure from defined benefit pension liabilities. At the end of June 2015 Wilshire Consulting reported that U.S. city and county pensions had 70 percent of the assets needed to meet their obligations to retirees. A greater percentage of expenditures will go to service these liabilities, unless yields and investment returns pick up from today’s levels. That being said, for starters, we are talking about 30-year liabilities. Time is a friend at this point. Certainly, one could argue today’s political polarization (i.e. paralyzation) makes progress less likely. Look at the gridlock in Illinois, for example. Many states and cities are already taking action to reduce their long term liabilities. Additionally, there have been a number of judicial rulings supporting such actions. This progress is good to see. Not only are governments working for taxpayers (and bondholders), but it proves there are potential remedies for solving pension underfunding. Oklahoma passed the Retirement Freedom Act, which closed that state’s defined benefit system and replaces it with a defined contribution model. Houston, TX Mayor says the 30-year fixed plan will pay off the estimated $7.7 billion the city owes its pension fund over the next three decades, cut yearly costs and require full yearly contributions to police, fire and municipal employee pensions. Arizona voters approve pension overhaul measure Prop. 124. Prop. 124 includes lower cost-of-living increases for current and future retirees and was designed to help the retirement system for public safety officers recover from a major drop in the plan’s funded status. Wayne County, MI: Recently upgraded by Moody’s. The rating agency noted “substantial reductions in retirement liabilities” as one of the reasons for the upgrade. Georgia Supreme Court upheld Atlanta’s 2011 pension reform. California appellate court in August of this year, said benefit cuts are permissible if the pensions remain “reasonable” for workers. Oregon Supreme Court: though the court overturned key aspects of 2013 pension reform, it ruled that it was legal to reduce the COLA for service rendered after the reforms were put in place. That means current and future employees will see lower inflation adjustments for benefits earned after May 2013. We are not attempting to downplay the issue of unfunded pension liabilities; it is a serious problem in many places and too often pension pressures reduce the ability of an issuer to pay for needed infrastructure investments. This is a major factor contributing to the decline of new money projects over the past several years. But unfunded pension liabilities are not a hopeless situation faced by all obligors. As displayed above, there is both the political and constitutional ability to readjust pension obligations in certain localities and we expect further realigning in the future. As we have noted time and time again, there is no one-size-fits-all model when evaluating municipal credits. Lien-by-lien, state-by-state, bond indentures and contracts differ vastly. It is important to have a thorough understanding of these differences when investing in today’s municipal bond market. I hope you find this commentary helpful and if you have any comments or questions, please do not hesitate to contact your Investment Specialist or Portfolio Manager. Please visit our LinkedIn page or Twitter @Bernardimuni for future market updates or company news items. /wp-content/uploads/2018/02/logo-original.png 0 0 Matt Bernardi /wp-content/uploads/2018/02/logo-original.png Matt Bernardi2016-10-20 19:57:382018-06-06 12:33:38Municipal Pension Liabilities: Between a Rock and a Hard Place?